It would be easy to suggest that Mexico City four piece, Useless Youth, have been causing quite a stir among the good people at 'Janglepophub Towers' this year, if it were not for the fact that the people referred to is actually just me, the 'towers' are nothing more salubrious than a semi-detached house and any reference to 'good' will undoubtedly be debated by several ex-girlfriends. However, there is no debate about the merits of Useless Youth. They slipped firmly onto our radars from May this year, with three superb digital singles, Expectations (see below), En Este Lugar and Goodbye, all of which are included on this album and are accompanied by the brilliance and beauty of previously unheard tracks like Cities (see below), Out Of Time and the weird fragilty of of Before Staying Goodbye (see below). 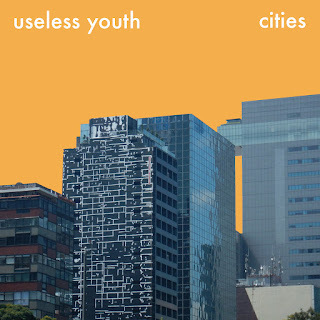 Essentially, the core aesthetic of Useless Youth / Cities is centered around the sort of jangle-gaze echoed vocals and windswept distance that is seen in the current crop of bands currently being led by the likes of The BV's and The Luxembourg Signal, who brilliantly develop shoegaze atmospherics and then add a certain indefinite jangle-pop beauty to their sound. 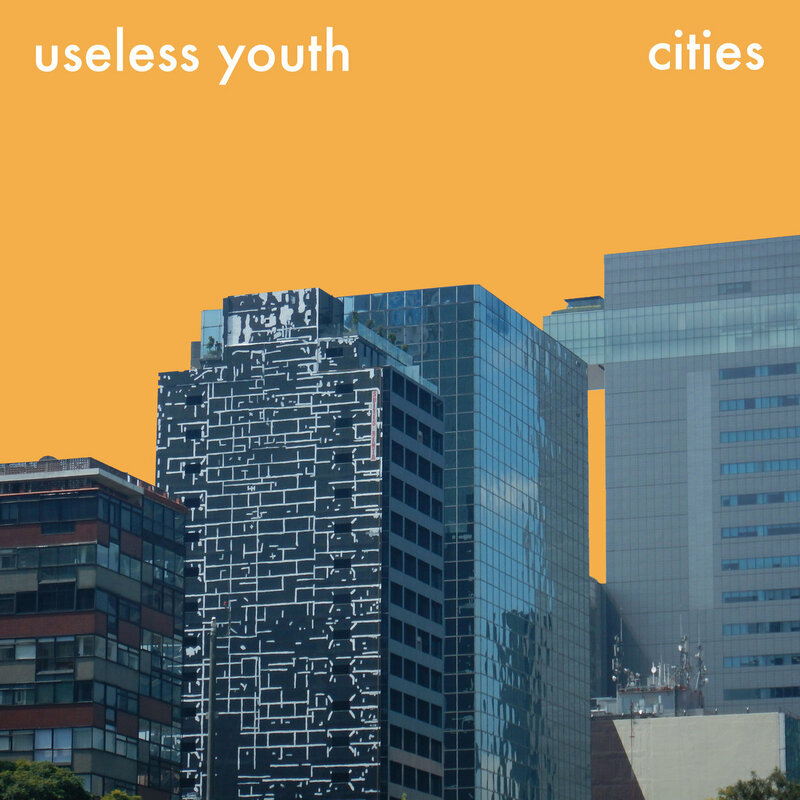 Useless Youth, whilst sharing a similar atmosphere, are notable within the jangle-gaze spectrum inasmuch that they reverse the above template. 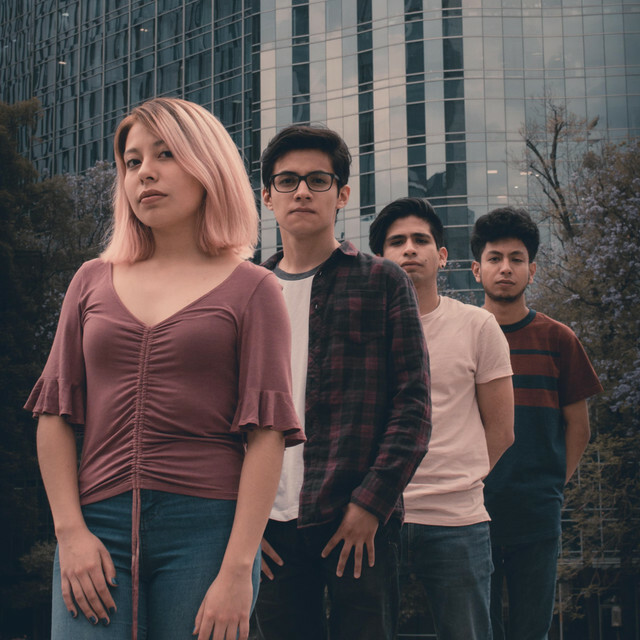 They start with a foundation that emphasizes the beauty of their cloying jangle-pop notes and then add the 'gaze' thereafter. It is a subtle shift but a definitive one that separates them from their contemporaries and has been key in producing one of 2018's most beautiful 'gaze' nuanced albums.